I am such a sucker for those little yellow stickers that M&S have started putting on food that is about to go out of date. This is why I happened to have a packet of ‘Raw King Prawns with Parsley, Lime & Garlic’ and ‘Raw Seared Calamari Rings with Salt, Red Bell Pepper & Cracked Black Pepper’ lying in the bottom of the freezer. 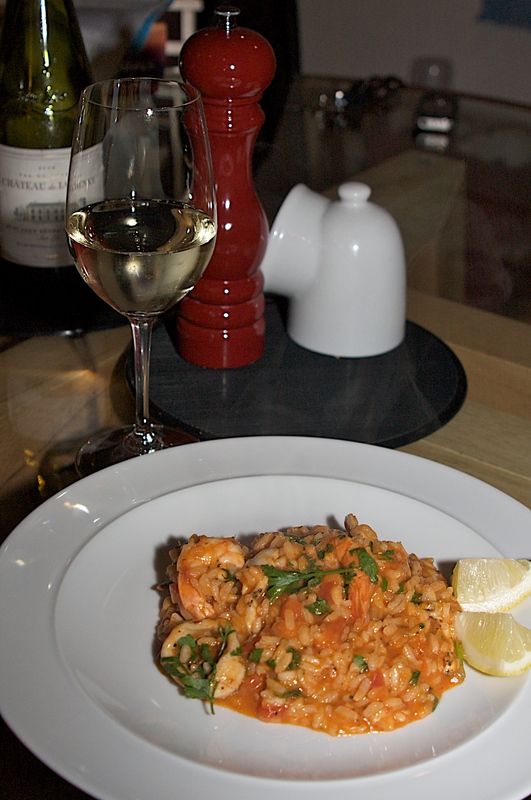 This is not the best paella recipe in the world but it is very cheap and easy (particularly if made with M&S reduced stuff) and hence perfect for a Monday night after a weekend of indulgence (and yes I did help the men eat the steak pie below). It also gave me a chance to sample some of the hot paprika that Jono picked up for me in Budapest. 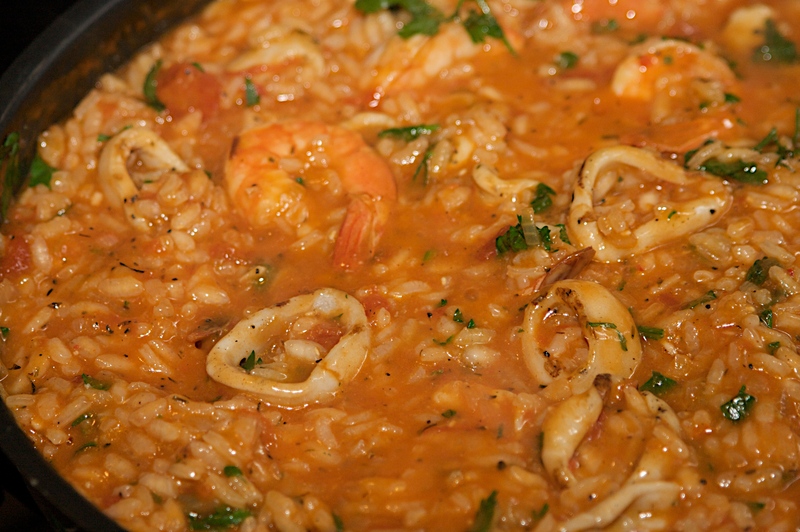 Easy paella recipe – Recipes – BBC Good Food. This goes very well (as do most things fishy) with a Muscadet which you can also usually pick up for a bargain price. Ours was a Muscadet Sevre et Maine Sur Lie from Chateau de Jaunay, which was very tasty indeed and a good example of how Muscadet has improved over the years.